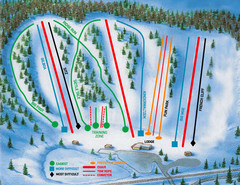 Trail map from Buck Hill Ski Area, which provides downhill, night, and terrain park skiing. It has 11 lifts servicing 16 runs. This ski area opened in 1954, and has its own website. 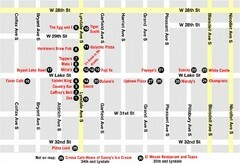 Official Map of Minneapolis-St. Paul International Airport. Shows Humphrey Terminal.